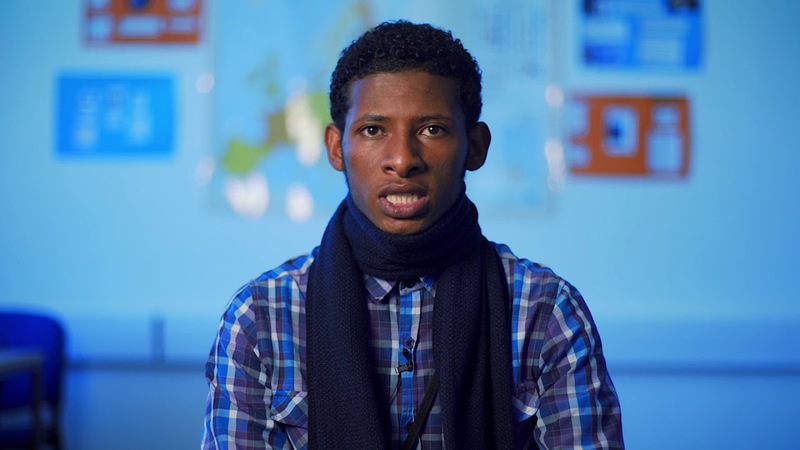 I came from Eritrea to Derby at the age of 18 and I have been living at the YMCA on London Road since I came. I have made many friends there and we play football behind Derby stadium every couple of weeks. When I rst arrived to Derby for the first time I was really interested in education because I wanted to progress my skills and learn how to communicate fluently in English. And joining a part time English course in Normanton after a month was not really enough to develop my language skills. So I asked my care worker to help me to get into a full time course which was very hard in the middle of the academic year. But she was very supportive and found a suitable course for me, which is the Lexis course at Derby College. Eventually I joined Derby College. I have made some very good friends with students who are kind and friendly. The students on the Lexis course come from diverse cultural and ethnic backgrounds and I find that fascinating because this is the first time in my life to experience this. Our teachers are friendly and helpful. Derby College is really an enormous college and it has many facilities for students. I feel I am in the right place especially as I am very keen on education and my ultimate goal is to improve all my skills to have a good career in the future.